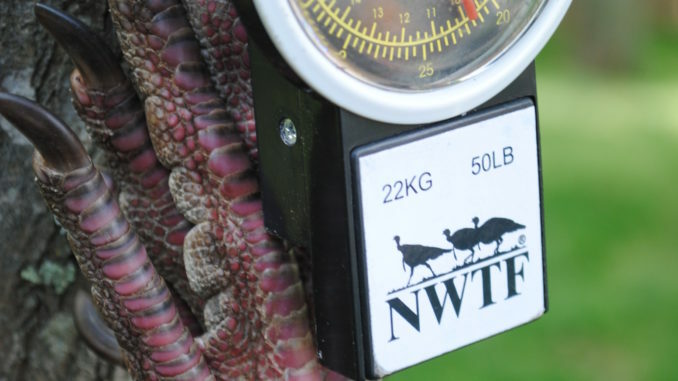 A turkey’s weight is only one piece of the puzzle that leads to his final NWTF score. 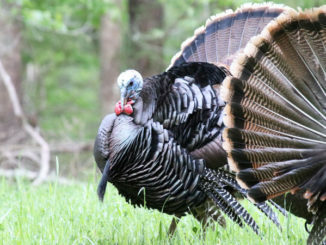 The National Wild Turkey Federation’s formula for scoring a wild gobbler is a combination of weight, spur length and beard length, with multipliers used for emphasis on spur and beard. 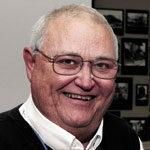 All measurements are taken in 1/16-inch measurements, and lengths and weight must be converted to decimal form. Step 1: Weigh your bird. If using a decimal scale, enter the weight. If using a scale that measures in pounds and ounces, convert the ounces to decimal form. Step 2: Measure each spur. Spurs must be measured along the outside center, from the point at which the spur protrudes from the scaled leg skin to the tip of the spur. Add both spur measurements and multiply the combined length of the spurs by 10. This is the number of points you receive for the turkey’s spurs. Step 3: Measure the beard length — the beard must be measured from the center point of the protrusion of the skin to the tip — and convert it to decimal form. Next, multiply the beard length figure by 2; this is the number of points you receive for the beard length. If you have an atypical bird (multiple beards), measure each beard, convert them to a decimal number, then add those figures together and multiply by two. This is the number of points you receive for your turkey’s beards. Step 4: Add together the weight, the points for spurs and points for beard(s). The result is the score you receive for your turkey.